Samsung reportedly prepping an Exynos chipset with a Cat. 10 LTE modem, can we say Galaxy S6? Roughly half a month ago, Qualcomm revealed its Cat. 10 Gobi 9x45 LTE modem, which can theoretically achieve speeds of 450Mbps, roughly a time and a half faster than the current top-tier standard, LTE Cat. 6. According to Qualcomm, this new LTE modem will arrive sometime in 2015. Unfortunately, it won't be among the highlights of the Snapdragon 810 chipset, which is expected to grace some of the hottest phones of 2015 (but let's hope it won't be delayed!). Nonetheless, Qualcomm's chipset could end up in some of the subsequent variations of the chipset. Well, similar to the more recent high-end Samsung devices, it is wildly-speculated that the Galaxy S6 will come in two different flavors, a Qualcomm and an Exynos one, and the most recent round of rumors regarding the latter claims that the South Korea giant is prepping to equip its next Exynos chipset with a tri-band LTE Cat. 10 modem as well. What's more, Samsung is believed to be manufacturing said modem on its own. There is no word if such an LTE Cat. 10-enabled Exynos chipset will power the Galaxy S6 by default or Samsung will once again "merely" resort to an LTE Cat. 6 one for its 2015 flagship. 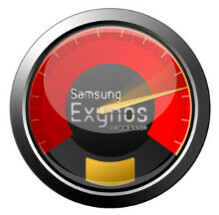 The speedier modem can end up inside a limited variation of the device, similar to the South Korea-only Galaxy S5 LTE-A. What's more, one of the larger South Korean carriers, LG U+, is believed to be developing a tri-band LTE carrier aggregation, which might have gone live by the end of the current year - this will potentially allow data transfer speed of up to 450Mbps over LTE. Does this really matter? No. Carriers will take years before giving this kind of speed. A better GPU like Mali T760 MP10 will be much more practical. Why not. It's already very power efficient and MP10 will enable it to match the tegra k1 GPU. I say Galaxy note 5 but cell phone companies don't provide that type of speeds anyway. Heard all these rumours prior to launch of S5. We know how that turned out. How about fine tuning touchwiz. It needs a huge overhaul. It doesn't, really, but haters gotta hate. Note 4, the best large smartphone you can buy right now, by a huge margin! he's just mad because the iphone wasn't mentioned in the article. lol TW is definitely a feature rich overlay. It could use some tweakage, but definitely doesnt need an overhaul... especially since it adds all that functionality AND increases battery life at the same time over a simple iphone. lol. You are nothing but a hater. I love Touchwiz... very good.... I bought Nova, Apex and Spb 3d launchers but Touchwiz is the best for me..